In this guide we’re going to show you how you can watch NRL in the UK in just a few easy steps. If you’re an NRL fan it can be almost impossible to watch the matches in the UK. If you’re an Australian travelling or living in the UK then this can be pretty annoying. The good news is with the use of an app called a VPN you can keep up with all the NRL action whilst in the UK and even if you hop over to Europe too. You’ll need two things to achieve this. A VPN service which we’ll explain below and either a valid subscription to Foxtel in Australia or if you don’t have one then you’ll either need a valid subscription or to sign up to NRL Live Pass. Read on below to find out how you can watch NRL in the UK. If you’ve got a Foxtel or NRL Live Pass subscription and you’ve already tried to use the Foxtel Go service or watch on the NRL Live Pass site or app while in the UK then you’ll know you’re blocked from viewing. The reason you’re seeing a message like the one above is because the NRL is restricted to viewing within Australia only. 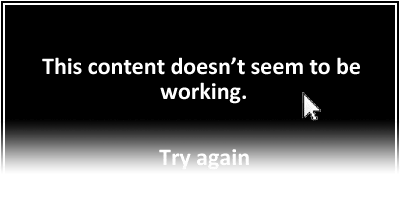 As you’re in the UK you’re blocked from watching. The great news is you can unblock the NRL and watch in the UK or in fact anywhere else in the world, all you’ll need is a VPN which we’ll explain below. Just follow the 5 easy steps below and you’ll be able to watch NRL in the UK. Download the correct app for your device from your app store or the IPVanish website Apps area. Take a look at the images below that show you exactly how easy it is to connect on both a mobile device such as a phone or tablet and a traditional computer like a laptop or desktop. It takes just two simple steps to get connected. Once the IPVanish app has connected which doesn’t take any longer than 15 seconds, any website that you now visit will think you’re in Australia rather than the UK. All that you need to do now is visit the streaming website that you have a subscription for, ie; Foxtel Go or NRL Live Pass. You’ll now be able to watch all the NRL action without issue. If you run into any issues check below for ways to resolve the most common problems. Under the Best City section of the IPVanish app try changing to an alternative city, for example try Sydney and if you face issues swap to Melbourne. 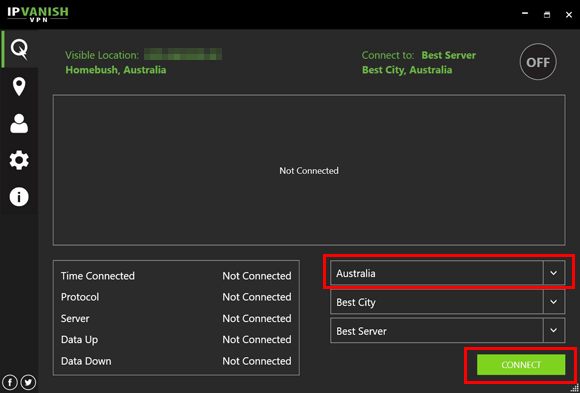 It’s also worth trying multiple individual servers which can be selected under the Best Server section. If on a desktop or laptop after connecting to the IPVanish app you should open your web-browser in either Inprivate or Incognito mode and try again. If using a mobile device you should enable aeroplane mode and then re-enable Wi-Fi and try again. If you still have issues you should switch to watching on a laptop or desktop computer. If you don’t have a Foxtel Go subscription in Australia then you can sign up for an NRL Live Pass account which is available by clicking here. If you don’t want to sign up to IPVanish for whatever reason then there are other VPN providers available. We recommend IPVanish because they’re one of the best available but there are alternatives that will work just as good. Below are three more providers we recommend for watching NRL in the UK. All you need to do is click on one of their names above and sign up. They work exactly the same as IPVanish. The only difference is their app will look a little bit different in its layout. Don’t forget all you need to watch the NRL in the UK is a VPN, you can get one by clicking the button below and following the instructions earlier in this guide.